Your eavestroughs are a critical component of your roof, carrying rain and meltwater safely away from your home. However, when they become clogged with leaves and other debris, water may collect on your roof and even form a dangerous ice dam if allowed to freeze during the winter. Keeping your eavestroughs clean in Edmonton’s sometimes extreme weather is always a chore. Nomad Roofing provides both eavestrough installations and repairs. 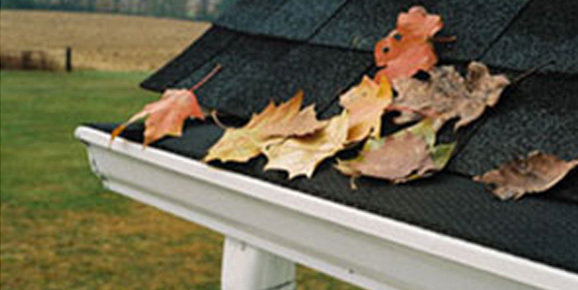 In addition, we also offer leaf guard systems that keep leaves out of your eavestrough and help keep it clear. The leaf guard system catches falling leaves and other large debris, while still allowing rain and meltwater to flow through. This means your eavestroughs won’t clog, taking the worry out of your eavestrough system and helping reduce maintenance time.